Our bobcats are busy. February means females are looking for houses and males are looking for females. Bobcats den in old forests with a dense, shrubby under-story, where they create a hidden home within the hollow logs and tangled roots. Gestation lasts 60 days and the circle of life continues. Hakuna matata. Bobcats have an elegantly colored tabby coat that combines black, gray, brown, buff, cream, and white. This cryptic coloration allows them to move through their landscape virtually unseen. 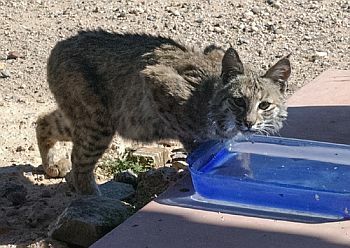 All bobcats have distinctive white spots behind their ears. They have short tails from which they get their name. Used as a noun, “bob” means “to cut short; dock”. At 2 1/2 feet long and 2 feet tall, they are taller and longer than a house cat. 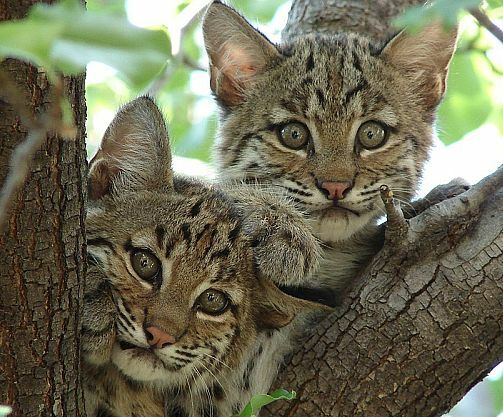 Bobcats are excellent climbers and spend many hours – as cats are wont – lounging on oak limbs. They are solitary and stealthy. Bobcats have been recorded in every county in the Fox River watershed in recent years, but they are still rare. 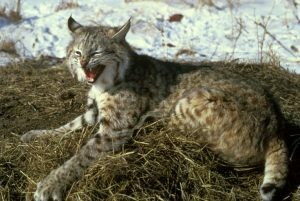 Bobcats were almost completely wiped out by unmanaged hunting and trapping in Illinois by the mid 1900’s. Then from 1977 to 1999 they were protected as a state threatened species. 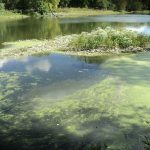 Today, they can be found throughout Illinois but are more common in the southern third of the state. The dramatic recent expansion of bobcats through Illinois has been well documented and celebrated. A scientific survey from some Saluki Zoologists at SIU saw an increase in the number of bobcat sightings, between 1992 and 2012, zoom from .5 per 1000 hours of viewing to nearly 5.9 sightings per 1000 hours of viewing. That’s more than a 10-fold increase! 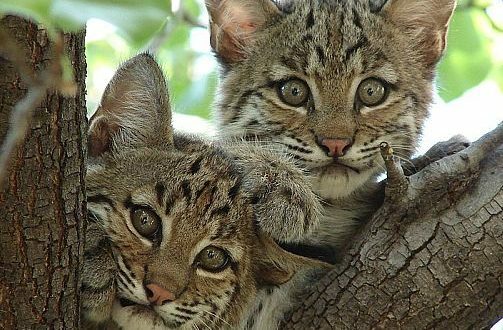 Nationwide, the bobcat population tripled during this time. 1. There is more suitable bobcat habitat today. 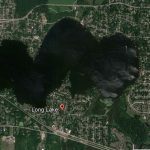 Because of the strong conservation movement and progressive land acquisition policies, our vast suburban landscape contains far more high-quality natural areas than the many thousands of mono-cultural acres of bean and corn fields it replaced. 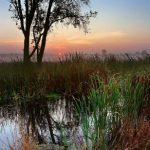 With the native plant restoration of our prairies, streams, savannas, and wooded lands, there are more protected places for wildlife to find a home now than previous decades. 2. People have changed their attitudes about bobcats. For many decades, farm families would diligently protect their assets by shooting bobcats (and most other varmints) on sight. Today, we allow bobcats (like all other mid-sized predators) to exist unchecked among us. Ironically, we manage (=shoot) deer populations to protect our natural areas. 3. Bobcats may be changing their attitudes about us. Bobcats are notoriously wary of humans, probably due to countless consecutive decades of being shot. There are currently multiple generations of bobcats that have likely never experienced life as a target. Will bobcat numbers continue to rise? Will they adjust to the sound of door slams and join the coyotes, hawks, and herons that safely hunt our backyards? 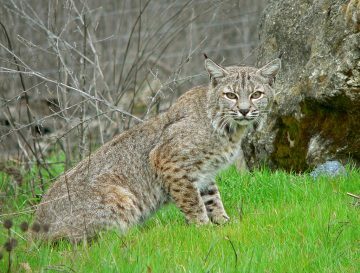 Will citizens become concerned about the bobcats in their neighborhood parks and call 911? Can we all just learn to get along? Meet Your Neighbors: Voley Moley! There is absolutely no reason for predators to be killed. The trapping season is an abomination. Saw the first wild bobcat in my life 3 years ago, and doubt I’ll ever see another.